The perfect balance of price and quality! 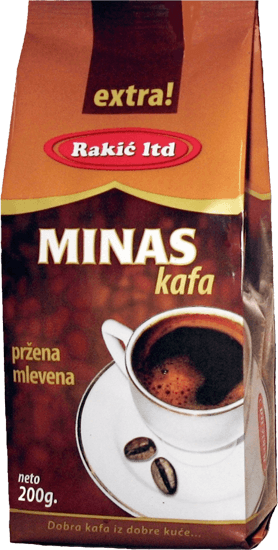 More than two decades the company “Rakic LTD” doo from Smederevo, produced in Minas offers quality coffee, made according to traditional recipes, great taste (taste prave domaće kafe) and of proven quality. When they ask us about coffee, we say “There are over two decades” (25 years of tradition) And what more to say !!! 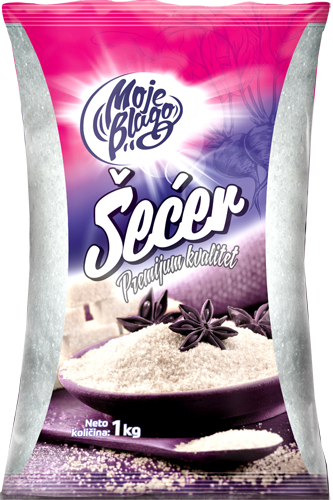 White icing sugar, high quality, from domestic beet sugar refinery whose seeds are not genetically modified. It guarantees the pleasures of traditional sweetness. Rice medium and round grain becomes sticky during cooking and the water in which you cook thick and milky appearance. 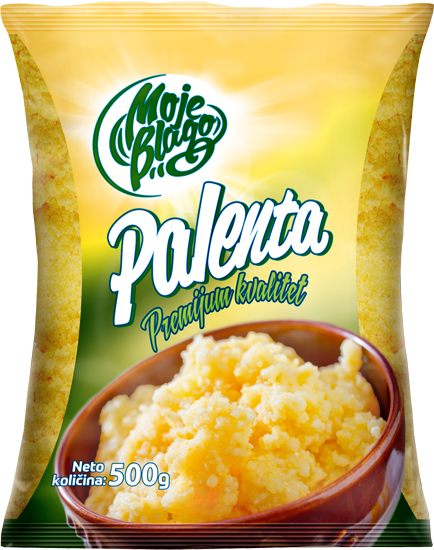 Polenta from quality corn flour. Name polenta or polenta is borrowed from the Italian language, which is the word taken from the Latin word for istoimeone barley porridge. From Italy it spread throughout Europe, and in Serbia is prepared throughout teritooriji. 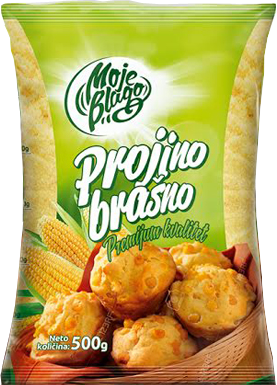 Corn bread (corn) flour made from white corn is rich in easily digestible carbohydrates which makes it easily digestible. As part of the non-fat carbohydrates from corn is an excellent component of food products. 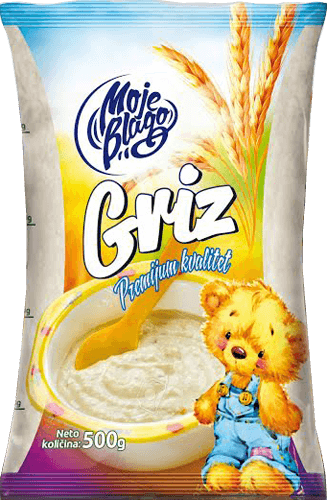 The structure has a lot of minerals and vitamin E.
Wheat semolina is obtained by milling wheat from the central part of the grain and very easy to prepare. Is a natural product, without additives or preservatives. Used as a delicacy, salty and sweet dishes as well as for preparing food for children. 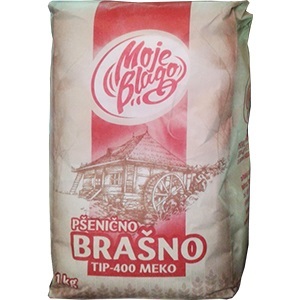 Flour type-400 soft in our catalog has been produced from the finest varieties of wheat (from the center of a grain of wheat), with Srem region, the fine granulation. Provides high ductility and energy, is extremely white. Wheat flour T-500 is one of the most requested types of standard. 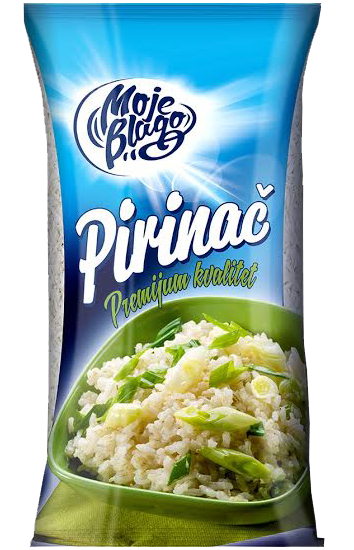 It has excellent water absorption and gluten containing the exceptional quality. Use it for making cakes and cookies, the small salty and sweet pastries. “Tuzla is” the most recognized brand of Bosnia and Herzegovina since 2008 belongs to the family umbrella brand name that carry status “Superbrands”. 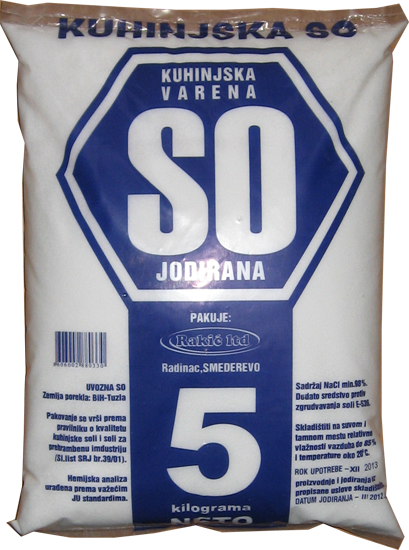 Research conducted Switzerland agency ICERTIAS (International Certification Association GmbH) Tuzla salt are classified as a regional brands, “No. 1 “. 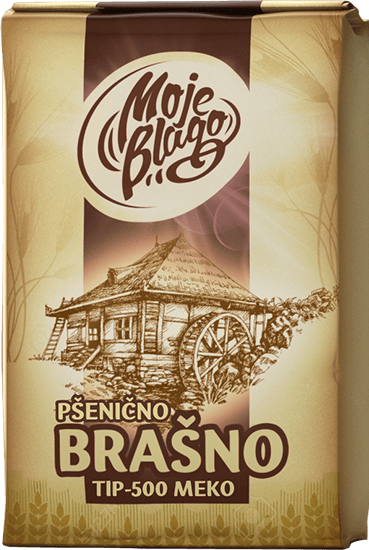 “Moje blago” (My treasure) has a soul, so much worth saving. Lovers-consumers of this warm and beautiful beverage, check and make sure that our coffee is one of the finest on the market and certainly the cheapest price for Minas coffee that quality. Consumers of our beautiful beverage are important emotions that coffee awakens in them, and most are concerned the positive feelings associated with the warmth of home with them dear people (family, partners, friends) with whom enjoyed drinking coffee with companionship, love, friendship ... Listen to a love ballad Andrea Bocelli ''Besame mucho" with one for ages ..